Change is happening. The Affordable Care Act (ACA) mandates that all Americans have minimal major medical coverage (this is also known as essential benefits) by 2014 or pay a penalty. SASid (Smart and Simple insurance development) is here to help you navigate your way through health insurance companies, plans, and options. You have access to group discounted supplemented plans which will make the overall cost of Major Medical cheaper through your membership in the NATIONAL ASSOCIATION OF REALTORS®. 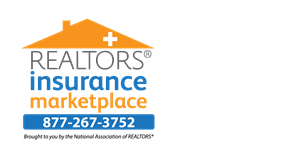 Combining a High Deductible Major Medical plan with a supplement plan such as REALTORS® Core Health Insurance can lower the overall cost of insurance. The REALTORS® Dental Insurance plans are the only dental plans designed exclusively for NAR members and their families. Plans provide coverage for preventive, basic, and major dental expenses with the dentist of your choice. Also, most plans include bonus benefits like orthodontia, cosmetic, dental rewards, and more. With over 1 million members, the NAR qualifies for large group dental benefits and rates, similar to those of large employers. Affordable: Plans start at less than $21 per month. Join thousands of other members and take advantage of your member dental insurance plan. Drug Card America is a member prescription discount card offered through the National Association of REALTORS® Realtor Benefits® Program. A FREE pharmacy program designed to lower the cost of select prescription drugs. This discount prescription drug card may be used at over 60,000 pharmacies nationwide, including most major chains, such as CVS, Walmart, Walgreens, Target, Rite Aid, Kmart and more. This program provides savings of up to 60% on select generic prescriptions and up to 15% on select name brand prescriptions. It’s easy to participate: no age limit, no income requirement, and no waiting. Everyone’s accepted, and the card is activated instantly upon sign-up.